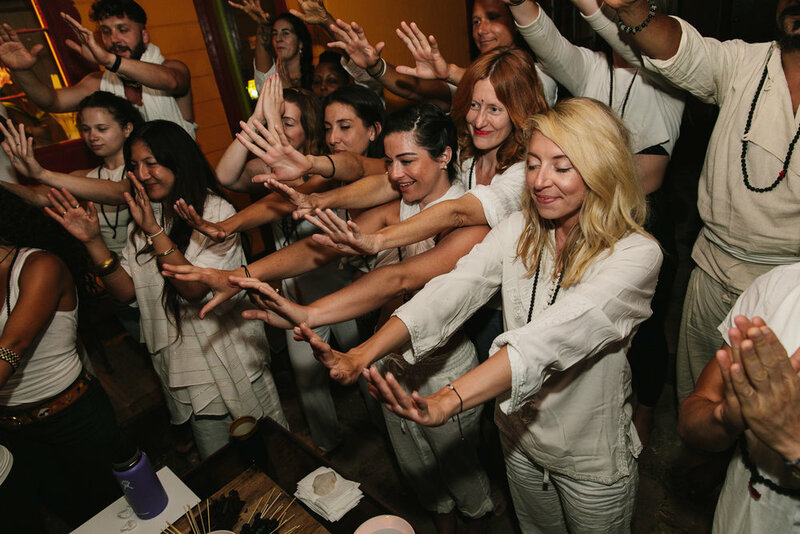 Only someone who has gone to a yoga intensive can truly understand the unexplainable power and pure vulnerability felt during this unique journey. When you are with a group of total strangers for 18 days in the desert completely disconnected, immense layers are shed. It has been a year since this life altering experience, even though it feels like yesterday. You cannot predict the emotions that may come up, the growth that you may find yourself having once you are driving away from the dirt road that led you into this oasis. But what you now have is what I call a “Clarity Briefcase.” The metaphor that I came up with is this: when I arrived at Shivakali I had a briefcase filled with empty files labeled: “Spirituality” “Love” “Friendship” and “Knowledge.” When I left Shivakali, all of the folders were full, even overflowing! I walked away with this imaginary briefcase full of depth and understanding that I now walk with, every step of the way. During this 18 days we were not just going deep and shedding layers, we were studying everyday in-order to receive our 200 hour teacher training certificate. In the weeks that followed the training, I got my first teaching job at incredible studio called The Springs in Downtown Los Angeles Arts District. I got to discover that I could in-fact teach and that I loved it. I went through immense realizations within my reality and work. I was desperate to figure out how to blend my newly awakened spiritual knowledge and figure out a way to blend it with my love for the arts & fashion. That is when I started working at the amazing conscious lifestyle magazine The Good Trade. In the midst of all of this, I got engaged!! This year has been such a beautiful journey of finding alignment in this massive city and how I now feel I fit. Coming to terms with the layers that were unraveled and continuing to build the new layers of myself, have all been part of this incredible journey. I will forever be grateful for how this training propelled me into the next chapter into my destiny. I am excited for the ideas I have for continuing to incorporate my studies into my life and dedicate myself to my practices. Finding out ways I can share with others in order to move forward in what we call Bodhicitta (the end of suffering for all).